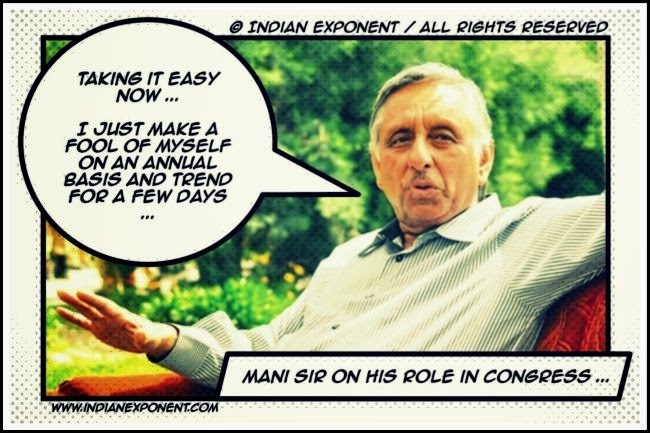 Last time Mani Shankar Aiyyar spoke he had kick started one of the most successful campaign for BJP. Now common man across India relates to Narendra Modi as an ordinary chai-wala. Today, his majesty has decided to provide cover-fire for Islamic terror attack in France, which killed 12 journalists of Charlie Hebdo magazine. Some days ago he was seen defending another terror-apologist Ved Pratap Vaidik who was seen petting 26/11 mastermind Hafeez Syed in Pakistan. What goes on in Mani’s brain to to use his motor-mouthing skills at such inopportune moments is unknown but there’s a theory that he may be trying to toe the line of the new-age Congress leadership under Shri Rahul Gandhi ji.